Jacob spends his free hours in Tae Kwon Do classes. Picking martial arts as his sport of choice, Jacob’s eight years of dedication have already earned him a Second Degree Black Belt certification. He has also earned a blue collar which allows him to teach white and yellow belts during his summer vacations. His main academic interests are science based. 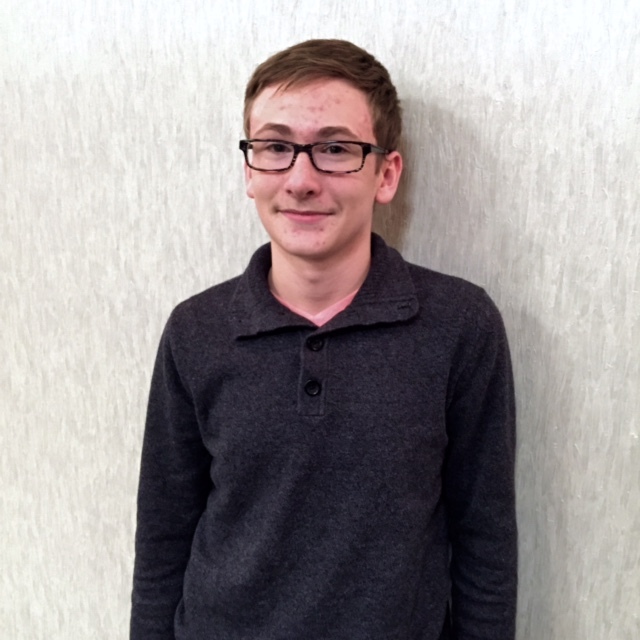 He loves studying anatomy and aspires to learn more about the field of radiology in particular. Jacob thinks the CLASS Seminars are “exhilarating” because they “connect to every experience in life.” Like many of the other scholars, he particularly enjoyed Dr. Mary Vaughn’s seminar “The Dating Game” on communication. Afterwards he says he “focused on how people talked to each other,” adding yet another academic layer to his personal experience.